Compact cameras range from simple point-and-shoot models costing less than £50 to professional-grade models with four-figure asking prices. 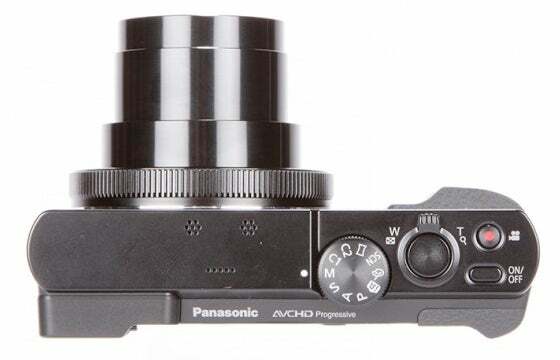 The choice can be overwhelming so here’s what you need to know when choosing a compact camera. The first thing to think about when deciding on a compact is how you intend to use it. Among other things, this will help you determine whether you need a camera with manual exposure control, which will help you to capture the best images in a variety of situations, or whether to go for one with a largely auto-oriented selection of controls. You can check this by seeing whether there are options such as Tv, Av and M.
Tv, known as Shutter Priority, lets you set the shutter speed, while Av, also known as Aperture Priority, lets you decide on the aperture. M, meanwhile, is commonly known as Manual and lets you do both. These are usually found on a physical mode dial on the back or top of the camera, alongside Auto options and scene modes, although they may be called up through the menu system instead. If you can see yourself getting more into photography as time passes, consider a camera with such control. Another thing to think about is the lens. Many cameras offer short zoom lenses, with an optical zoom of around 5x or 7x, and these let you take general wideangle and telephoto shots, as well as everything in between. Cameras with long optical zoom ranges, say 20x or greater, are great for more distant subjects, while cameras with prime lenses – that is, ones that only offer one focal length such as 28mm – are usually high in quality, with wide apertures that let in lots of light. These also impact on the size of camera so don’t get one with an expansive zoom range unless you’re sure you’ll be happy to carry it around everywhere! As a general rule, wide apertures are great for use in low light and for shallow depth-of-field effects so that you can get images with pleasingly blurred backgrounds, so look at the f/ number(s) after the focal length of the lens. Cameras with zoom lenses have two numbers, such as f/3.5-5.6, which is the maximum aperture at each end of the lens, while those with prime lenses have one. This is slightly complicated by the fact that cameras use different sizes of sensor and have different image-stabilization systems, but better cameras will usually have lower aperture numbers. All compact cameras output images in the JPEG format, but if you opt for a camera with manual control, look to see if it offers a Raw mode too. This is analogous to a film negative in that it gives you a good starting point for further editing, and you can personalise the processing so that images end up more to your liking. You do, however, need to spend time and care to process such images appropriately before you can print, display or use them in any other way. You should also consider how you will typically display your images. If you want to print enlargements you can do so with images from even a basic camera, but those with a relatively large sensor will help you to keep the image quality high when details are closely scrutinised. Look out for models whose sensor are 1/1.7in, 1in, Micro Four Thirds or APS-C in size, as these tend to have better image quality than cheaper models with smaller sensors. Cameras with larger sensors are also usually better in low light than those with smaller ones, and you can use them to create images with particularly shallow depth of field, although they do command a premium because of this. Cheaper models sometimes feature ‘backlit’ sensors – look out for these as they tend to produce better images in low light than models that don’t feature them. If you often find yourself capturing images outdoors in bright conditions, you may prefer a camera with a viewfinder of some kind. These are usually electronic and they help you to see the scene more clearly than the displays on the back in harsh sunlight. Some DSLR-style cameras may also be supplied with a small lens hood, which is also useful on a sunny day as they help you to avoid harsh light from creeping into the frame and negatively affecting your shots. The type of rear display is worth considering too, as these tend to vary between models. 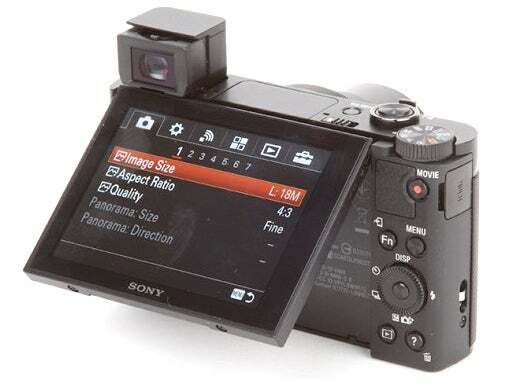 Most cameras offer display that are fixed in position but those with tiltable alternatives are useful for images captured from awkward angles. Models whose displays can be articulated to face the front are great for selfies and group shots, and you may also want to look at a camera with a touchscreen – not an essential feature but one that’s useful when you want to pinpoint subjects with ease. The resolution of the display, usually stated in dots, is also worth checking as this tells you how clearly the scene and any images you capture are likely to be displayed. Although there are some variations in technology here, as a general rule you should seek out cameras with a high number of dots, typically 920k dots and higher, but a minimum of around 460k dots for decent clarity. 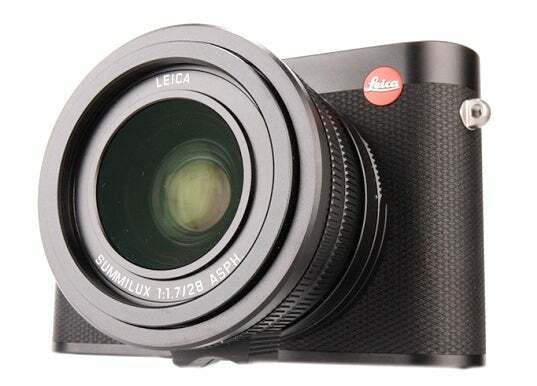 Today’s compact cameras are packed with additional options which can make life easier. Most have a range of creative effect options which let you instantly apply various processing styles such as high-contrast black and white, toy camera and fisheye. Many compacts also now offer Wi-Fi control for wireless image sharing and some offer NFC for easy syncing with NFC-enabled smartphones and tablets. Some have hotshoes on their top plates, which let you mount and use external devices such as flashguns for more control over illumination, and some feature interval timers that can be used to easily create timelapse footage, so seek these out if you want to create videos with a difference. Video functionality otherwise isn’t too dissimilar among models of a similar price, with practically all models offering 720p video recording and the majority offering the higher-resolution 1080p option too, together with a handful of different frame rates. If video recording is more than just a passing interest, look out for models with some control over audio recording and possibly even a microphone input so that you can capture better-quality audio than the camera’s microphones can manage. If you’re buying a camera for a holiday or you tend to travel often, look out for a model with a panoramic mode as this will let you effortlessly capture sweeping vistas and impressive skylines. Cameras with GPS systems are also becoming more common, and these are particularly handy when travelling as you can map your images to see exactly where you’ve been. Many manufacturers also carry one or two options for beach holidays, watersports or other more adventurous activities in their range, and these often combine waterproofing with some degree of protection against shock, freezing temperatures and pressure. Naturally, these are also great options around kids, so consider one of these if you think your camera may be benefit from a little additional protection.